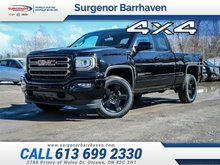 This onyx black crew cab 4X4 pickup has an automatic transmission and is powered by a 6.2L V8 16V GDI OHV engine. 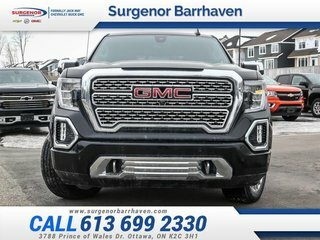 With that brawny motor it gets 15.3 L/100 km in the city and 11.2 L/100 km out on the highway according to Transport Canada. 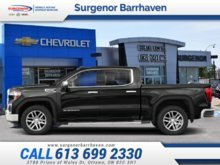 Our Sierra 1500's trim level is Denali. 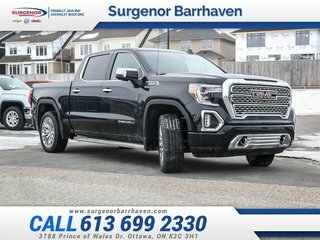 For the best of the best, look no further than this Denali with exclusive styling and badging. 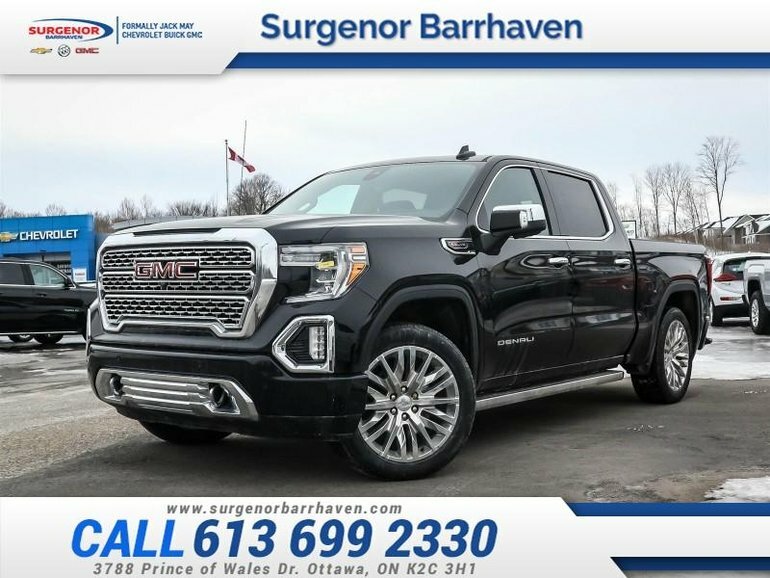 This truck has some great style with a cornerstep rear bumper, LED lighting, ProGrade Trailering system, Denali vertical chrome recovery hooks,spray on bedliner, 6 inch chrome full length rectangular side steps, chrome accents, and perimeter lighting on the exterior. It continues on the interior with heated leather seating, cooled power front seats, memory settings, dual zone automatic climate control, a leather heated steering wheel, an 8 inch touchscreen, navigation, 4G LTE WiFi, Apple CarPlay and Android Auto compatibility, SiriusXM and HD Radio, Bluetooth, and a premium Bose sound system, remote start and keyless entry, wireless charging, lane charge alert, front and rear park assistance, a haptic safety alert seat, magnetic Adaptive Ride Control, a trailering package with a brake controller, and GMC MutliPro tailgate. This vehicle has been upgraded with the following features: Leather Seats. 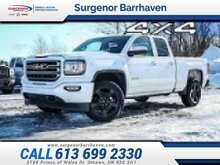 Interested in the 2019 GMC Sierra 1500 Denali - Leather Seats - $465.65 B/W ?